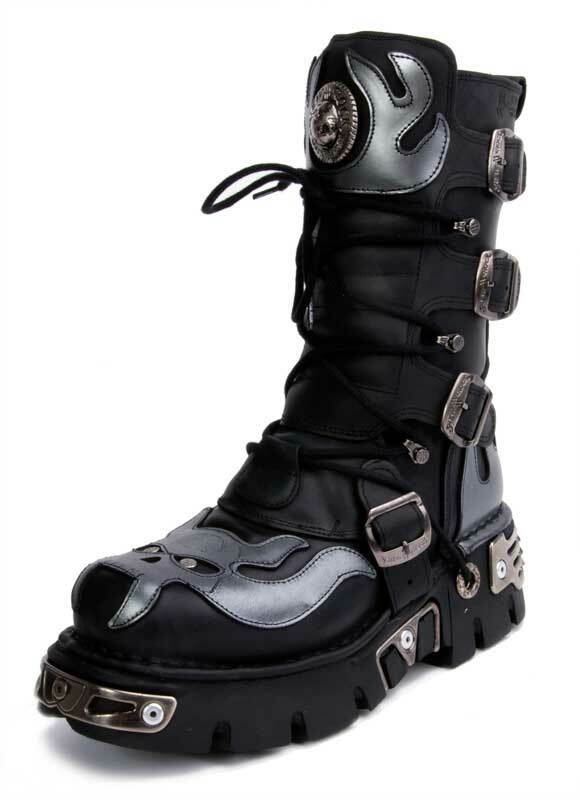 Nothing feels quite as good as a brand new pair of New Rock boots. 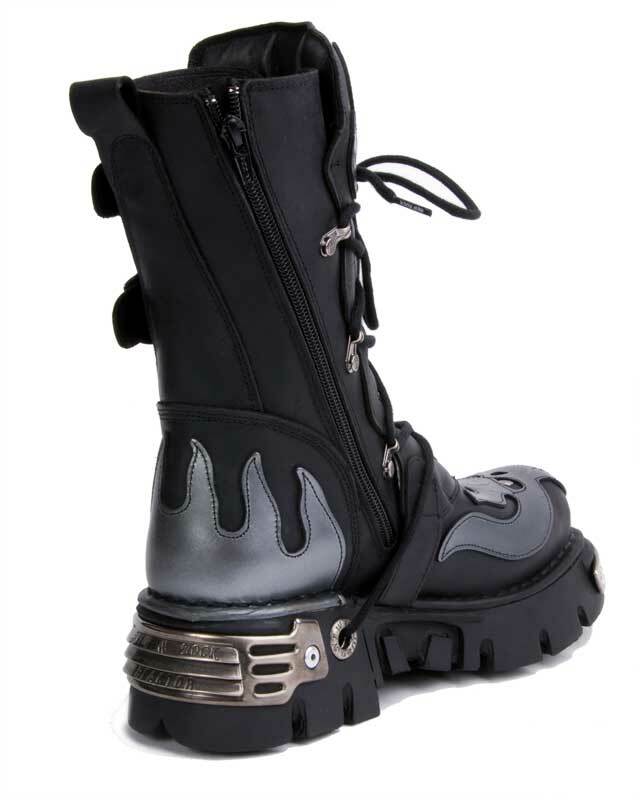 These black leather platform boots with lace up, buckle, inner zipper closure, demon flame and metal design by New Rock. Imported from Spain. Amazing boots! 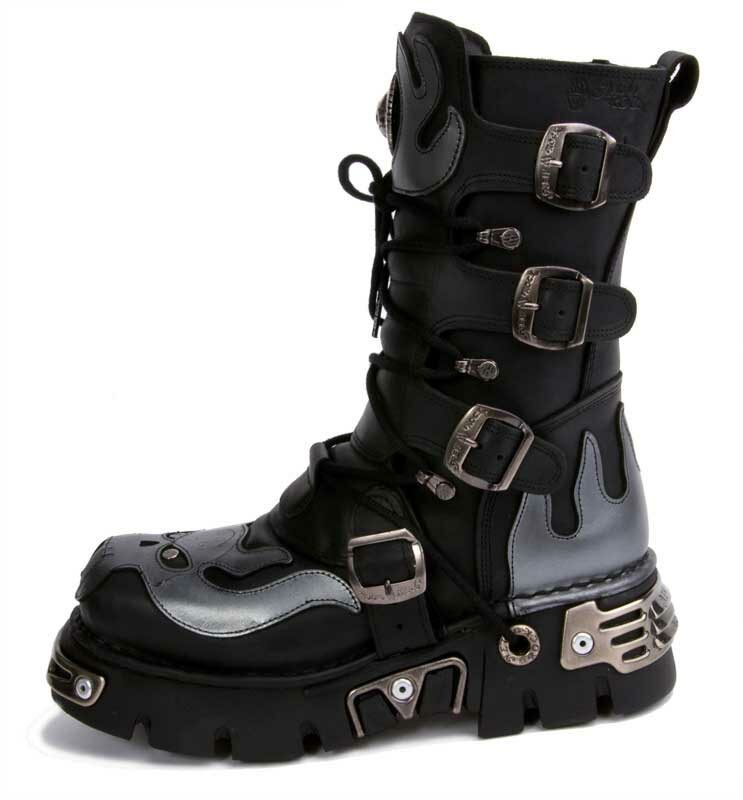 I wanted some boots to wear on stage, these looked like they might fit the bill, but the price was more than I had intended to spend, seeing as how my plan was only to wear them on stage when my band performed. Other boots ive tried end up hurting my feet quickly, and even wearing for an hour or two left my feet hurting, to my surprise, these boots not only are one of the most comfortable boots ive ever worn, the craftsmanship on them is thru the roof! I have been wearing them not just for shows, but to band rehearsals, and even to work, they became my go to shoe.